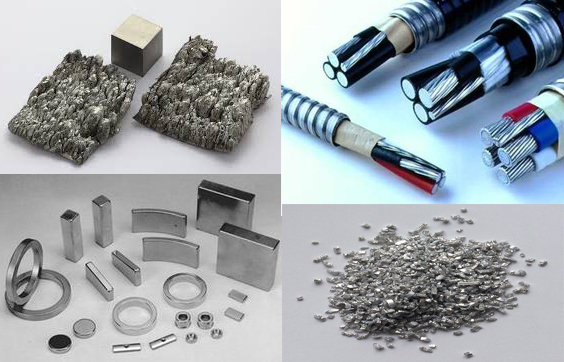 Cemented tungsten carbide is a sintered powder metallurgy product in which refractory tungsten metal (WC) micron powder is the main ingredient, cobalt (Co) or nickel (Ni), molybdenum (Mo) as the binder, and is manufactured in vacuum or hydrogen reduction furnace. Cemented tungsten carbide has many excellent characteristics such as high hardness and strength, wear resistance, corrosion resistance, especially high hardness and wear resistance. 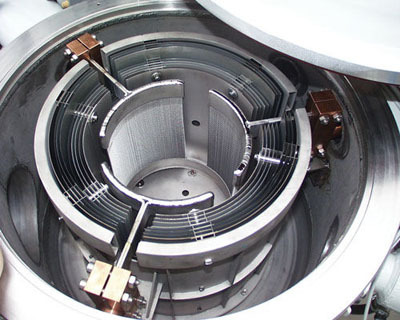 Even at 500 ºC it is essentially unchanged, and at 1000 ºC it still has high hardness. It can be used to cut cast iron, nonferrous metals, plastics, chemical fiber, stainless steel, and high manganese steel, etc. Cemented tungsten carbide also can be used to make drilling tools, mining tools, measuring gauges, wear parts, cylinder liners, precision bearings, nozzles, and metal molds, etc. Edgetech Industries LLC provides cemented tungsten carbide shaped and machined products such as cemented tungsten carbide nozzle, tungsten cemented brazed tips, cemented carbide mills and drills, etc. Cobalt content can be customized according to your request. 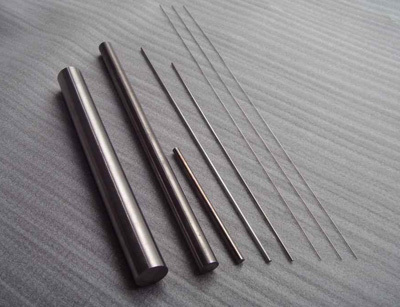 We supply cemented tungsten carbide rods (WC-Co alloy rods) with PCB rods, cemented tungsten carbide blank rod, grinding cemented tungsten carbide rod. 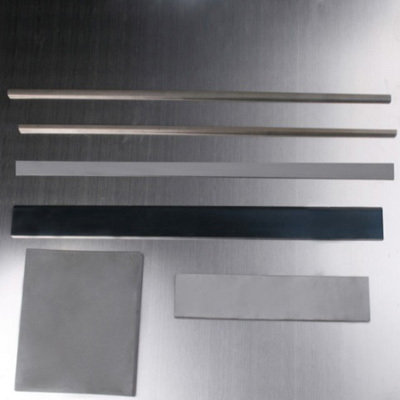 ETI provides cemented tungsten carbide strip (WC-Co strips), as well as WC-Co strips with angle and round strip. 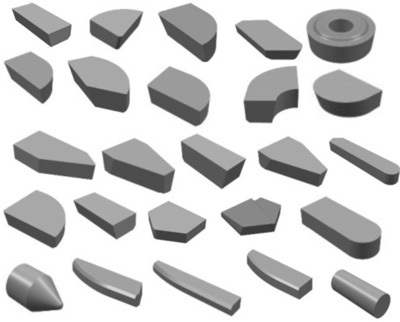 We also provide carbide tools as tungsten carbide bits, carbide dies, etc.